An incredible leather cigarette box presented at a dinner for the 33 survivors of the Irish Brigade and the battle of Fredericksburg! 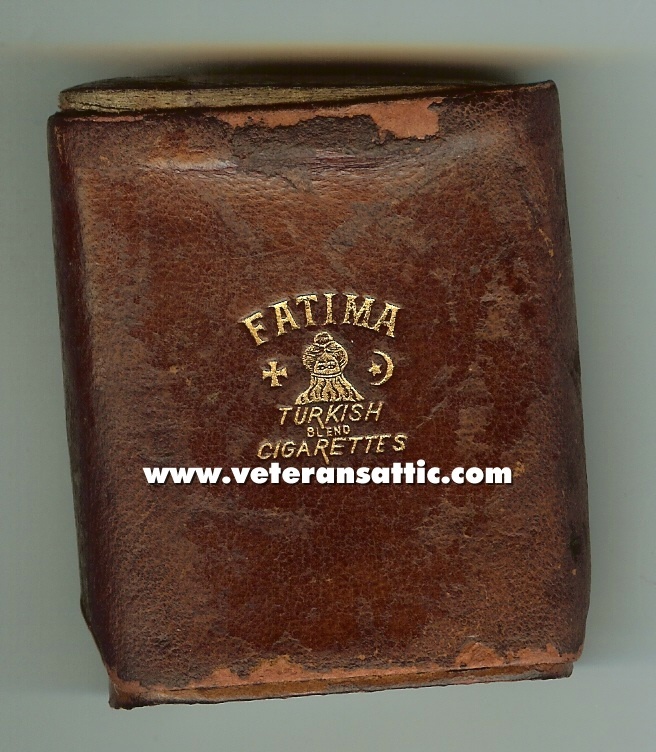 The box was made for Fatima, Turkish Blend Cigarettes. The bottom slides into the top. 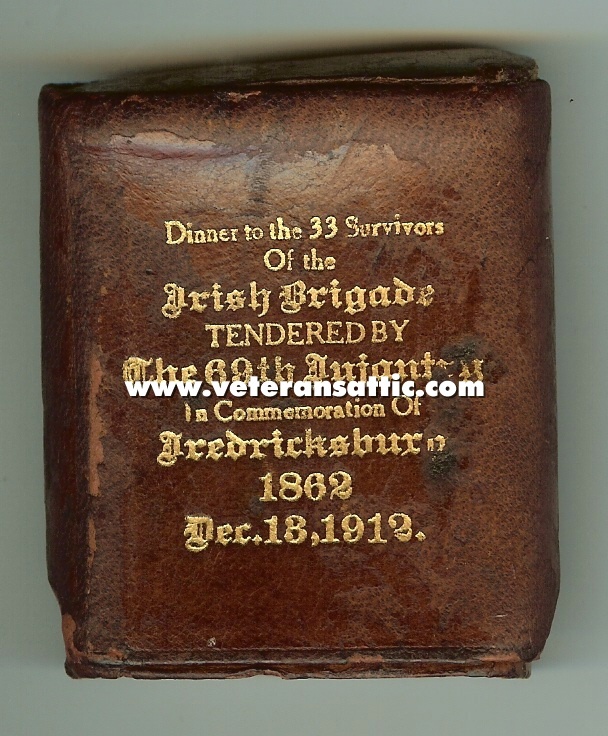 On the top is in gold letters "Dinner to the 33 Survivors Of the IRISH BRIGADE Tendered By The 69th Infantry in Commeration Of Fredericksburg, 1862 - Dec. 18, 1912". The box is approximately 3 inches by 2 5/8 inches by 1 1/4 inches. What an incredible find!!! How many Irish Brigade items come on the market?